at undergraduate and graduate levels at Madurai Kamaraj University and the American College of Madurai, as well as at George Washington University's South India Term abroad (SITA) programme. Dr.Vidya's administrative expertise was honed through 12 years as Deputy Office Superintendent in the Central Excise Commissioner's Office of Madurai. Rajasekaran has enjoyed a varied and multi-faceted career as a rock musician, folklorist, peace activist, and facilitator of educational and research activities for students and scholars in South India. He served for more than 25 years as Resident Coordinator for the University of Wisconsin's College Year in India Programme, Madurai, and during that time also assisted a great many visiting scholars from USA and European Universities. 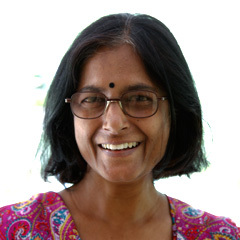 As Field Director at CM Centre, Sekar organizes every resource necessary to provide for the needs of scholars and students, ranging from setting up meetings with government agencies, NGOs, individuals, private institutions or business houses to interviewing a village shaman. He also accompanies scholars wherever his presence is needed. Rajasekaran is presently working on the prestigious documentary on South Indian Temples, with the Centre for South Asia of University of Wisconsin, Madison. He has a great capacity to organize the nearly impossible and as one scholar commented, "Sekar can even get Tiger's milk" He holds a B.A. degree in English Literature from American College in Madurai. She has an MA degree Carnatic music and Bharathanatyam from Satguru Sangeetha Vidhyalayam of Madurai Kamaraj University. She also has a PG Diploma in Journalism from the London School of Journalism. 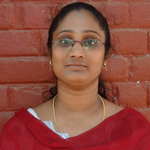 Ms.C.Ranjani joined the CM Centre in March 2012. She has a B.Com Degree and is presently pursuing her LLB a degree in law. Her knowledge of insurance with regard to staff well-fare initiatives is indispensable. Ms.Jasmine Risvana is pursuing her MSc., degree in mathematics. She is a part time administrative assistant and transcriber working closely with Ms. Sujatha. Ms.Chitra has a Diploma in Tamil. She is one of the centre's most diligent Tamil transcribers. Her specialty lies in transcribing folklore and rural dialects. Ms. M. Mutheeswari has been working for the centre right from its inception. She carries out her time-demanding duties efficiently, without any hesitation. She runs the centre's cafeteria. She has learnt over 60 new recipes since the centre opened its kitchen in 2013. She deftly plans her menu to meet the nutritional needs. Ms. K. Rani joined the centre in June 2012. She is in charge of the information retrieval system of the AJ Trust Library and the centre's garden. She has immense love for growing plants. She ensures all critters ( those crawling or perched on the trees) are unharmed. Prof. R. Venkatraman - Academic advisory board. 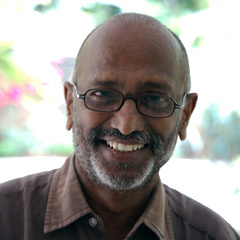 Prof. Bala Nanda Kumar - Academic advisory board.